Photographing surprise proposals can be both fun and challenging. 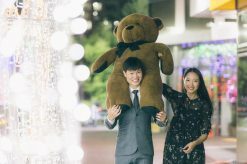 The thrill of documenting the couple’s big moment as they pop the question, as well as the reactions afterwards is surely enough to put a smile on any photographer’s face. At the same time, the amount of planning, proper timing, and the infinite number of things that could go wrong is nothing to take lightly. However, when things are well-planned and orchestrated, the events can almost feel magical as they unfold. 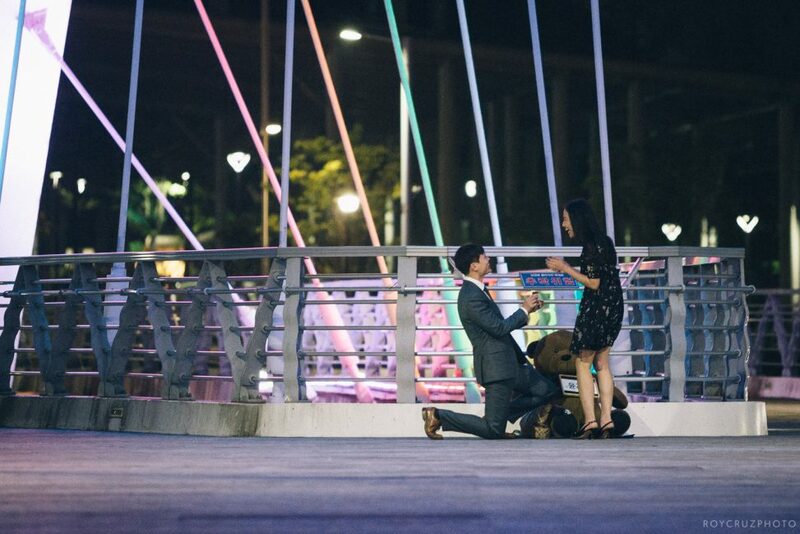 I had a great time planning and photographing John’s surprise proposal in Jinju. We started with a Skype session to plan everything out. 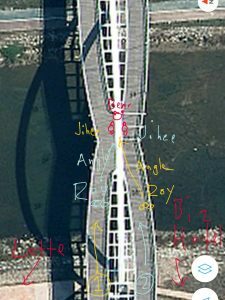 John wanted to pop the question on a pretty walking bridge that he and his girlfriend Jihee regularly passed on the way to Jihee’s workplace. 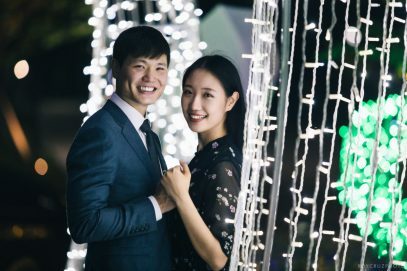 Since Jihee worked nights at the time, we would have to do the proposal and shoot after dinner. This was perfect because it gave them an excuse to dress up for a nice dinner date with a big surprise afterwards. Before we ended our initial conversation, John had another special request. 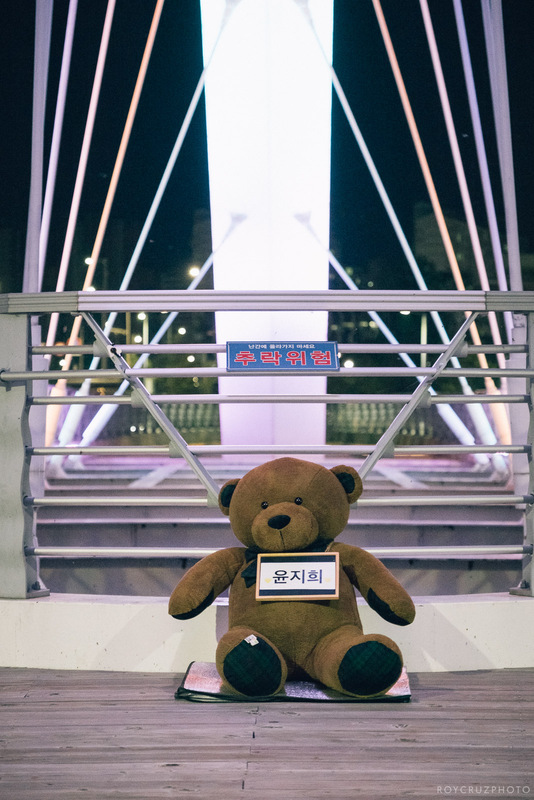 He wanted a large teddy bear to be waiting for them on the bridge, as Jihee had always wanted a giant teddy. 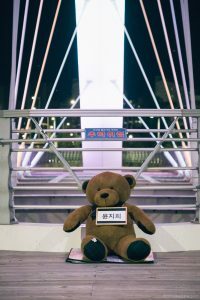 I found a nice big bear online and thanks to the efficiency of Korean postal services, I had it the next day. John chose route number 2 based on where they would be coming from. 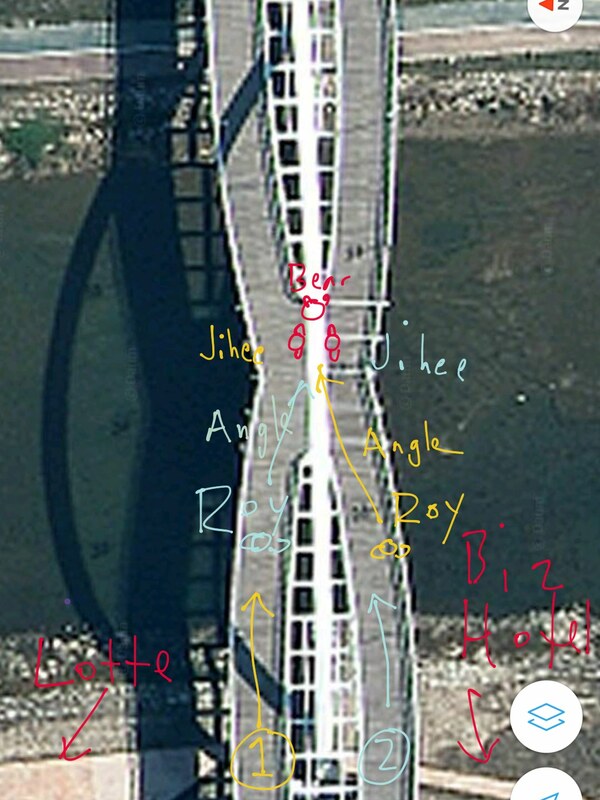 The bear would be waiting in the middle of the bridge with Jihee’s name on it. 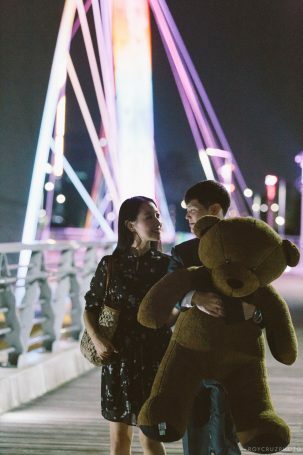 As Jihee recovers from the surprise and admires the bear, John would get down on his knees and pop the question. D-day came, and I was at the location about an hour before we were to meet. I waited a while for it to get dark and set up the bear. Needless to say, it drew a lot of attention from passers-by. Once the bridge was lit and everything was in place, I gave John the go-signal. I kept my distance and captured the big moment paparazzi style. Everything pretty much went according to plan. It was definitely a big surprise and Jihee looked so happy. I moved in closer and finally greeted the couple after a few moments and we went on to do some portraits at a nearby park which John chose. There were lots of nice lights at the park and we had a great session. Thanks again to John for the awesome communication and pre-planning. 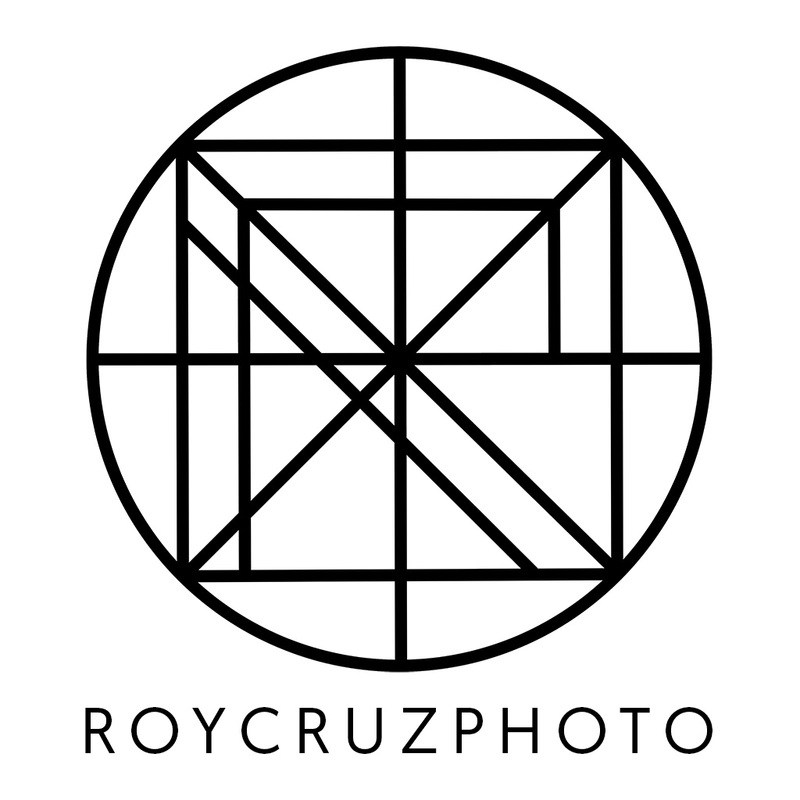 He was so easy to work with and everything went very smoothly. 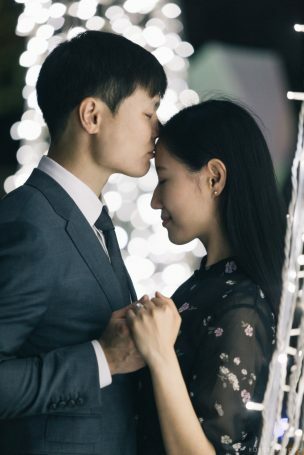 Congratulations to the couple and I wish you all the best!If you’re looking for a photographer to document your surprise proposal in South Korea or anywhere, please feel free to get in touch!